London: The one thing that is certain when spending the summer or for that matter, any season in London, especially when one owns a flat there is the relaxed, fun-filled time that London offers residents and visitors. The only other thing that is more certain than the joys of owning a London flat are tax implications. One of the least uncertain things in one’s life is perhaps tax, and nothing can be more unpleasant than being slapped with a tax bill at the end of the year. Saffronart Prime London feels a buyer ought to get into overseas property ownership well-informed. Owning residential property overseas could, based on facts, attract Indian income tax and wealth tax. Here are a few things to keep in mind. An overseas residential property owned by a resident individual could potentially result in two streams of income (i) rental income, if the property is let out, and (ii) capital gains, if the property is sold at a future date. On the basis that the individual owner of the property is resident in India for tax purposes, all such income would be liable to tax in India. Income tax is levied on the ‘annual value’ of the residential property for any year. (ii) the rent received or receivable (ignoring rent that cannot be realized), if the property is actually let out. However, where the property is meant to be let out, but remained vacant for want of a tenant for the whole or part of the year, and by virtue of this vacancy the rent received in point (ii) is less than the amount referred to in point (i) above, then the annual value will be taken as the amount actually received or receivable during the year. From the annual value so determined, the owner is permitted tax deductions for (a) municipal taxes paid to local authorities; (b) 30 percent of the annual value as a standard deduction; and (c) interest payable on a housing loan subject to a maximum of INR 150,000 (approximately GBP 1,875) if the property is not meant to be let out, and without any limit if the property is meant to be let out. The net income determined in this manner will be liable to tax under the head “Income from House Property” at ordinary income tax rates applicable to the owner. 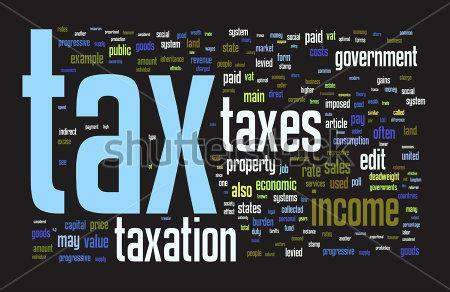 At present the maximum rate of tax in India is 30 percent plus applicable surcharge and cess. If the computation results in a loss, such loss can be used to offset income from any other source earned by the owner in that year. Any unabsorbed loss can be carried forward and offset against similar house property income for a period of eight years. Gains arising from sale of a residential property located in London would be taxable as “Capital Gains”. The taxable gain is computed by deducting from the sale consideration, the cost of acquisition (including costs directly linked with purchase of the asset), the cost of any improvements and any expenses incurred in connection with the sale. The rate of tax that will apply to such gains is a function of the period for which the property has been held prior to its sale. The property would be regarded as a long-term capital asset if it has been held for more than thirty-six months prior to its sale. Gains from sale of such assets are classified as a long-term capital gains (‘LTCG’) and subject to tax at the rate of 20 percent (plus applicable surcharge and cess). In computing the LTCG, the cost of acquisition is increased by applying index factors published by the Indian Government. If the property is held for 36 months or less, the gains are treated as short-term capital gains (‘STCG’) and taxed at the rates applicable to ordinary income. Where the gain is a LTCG, Indian tax laws provide for a relief from income tax if the proceeds from the sale are invested in qualifying assets, subject to prescribed conditions. If the sale of the property results in a loss and such property has been held for more than thirty-six months, the loss would be treated as a long-term capital loss (‘LTCL’). Such loss can only be offset against any LTCG earned in that year from the sale of any asset and for a period of eight consecutive tax years in a similar fashion, until the loss is exhausted. If the property had been held for a period of thirty-six months or less, any loss from the sale of such property would be a short-term capital loss (‘STCL’) and such loss can be offset against any capital loss, STCL or LTCL in that year from the sale of any asset and for a period of eight consecutive tax years. In addition to income-tax, wealth tax is payable annually at the rate of 1 percent on net wealth in excess of INR 3,000,000 (approximately GBP 37,500). Wealth is defined to include, inter-alia, all residential property owned by a tax payer, other than one property which is regarded as being held for personal use. However, where a residential property is let-out for a minimum period of three hundred days in any year, such property will be exempt from wealth tax. For wealth tax purposes, the market value of the property as at March 31 of each year is to be considered. I am really impressed with your writing talents as neatly as with the structure for your blog. Is that this a paid theme or did you customize it yourself? Either way stay up the excellent high quality writing, it is rare to see a nice weblog like this one nowadays..
Hello there, I found your blog by the use of Google at the same time as looking for a similar subject, your site came up, it looks great. I have added to my favourites|added to my bookmarks. thanks for sharing with us this kind of useful information..
We are India’s Fastest Growing Real Estate Company. Featured Property “KINGSPARK” Bhopal.